Although there was much praise for Trump's decision to bomb Shayrat Air Base, there is another side to the story. Opinion. The Obama Administration rightly stayed out of Syria through six painful, grisly years of civil war there. Yes, the fighting has cost hundreds of thousands of lives and displaced millions. Yes, the uncontrolled migration of Syrians to Europe caused deep problems there. Yes, the Kurds are sympathetic. Yes, Barack Obama made a fool of himself when he declared the Assad regime's use of chemical weapons a "red line" and proceeded not to enforce it. Despite all this, it was right not to intervene because Iranian- and Russian-backed Shi'ite pro-government jihadis are best kept busy fighting Saudi-, Qatar-, and Turkish-backed anti-government Sunni jihadis; because Kurds, however appealing, are not contenders for control of the whole of Syria; and because Americans have no stomach for another Middle Eastern war. The immense resources of the United States should be dedicated, rather, to two goals: reduce human suffering with blankets and soup and prevent the stronger side (now the regime) from winning through the provision of intelligence and arms to the weaker side (the Sunni rebels). 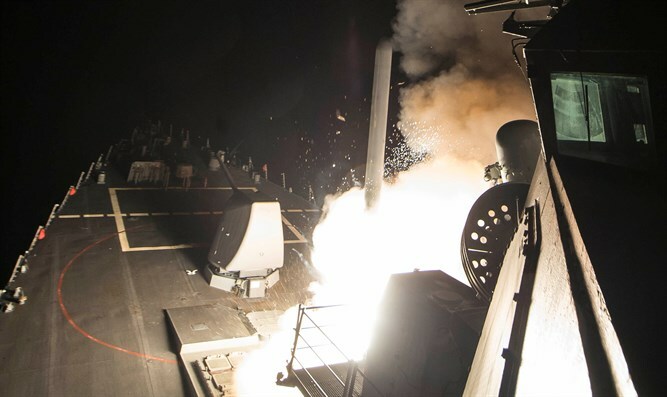 Trump should immediately cease all direct attacks on the Syrian regime and instead help its enemies to fight it more effectively. This article appeared on Professor Pipe's Middle East Forum. Daniel Pipes is president and founder of the Middle East Forum, authored 12 books, and is considered one of the world’s foremost analysts on the Middle East and Muslim history. He warned of militant Islam's war with the USA years before 9.11 and called Arafat's bluff at Oslo.